FREMONT, Calif., March 20, 2019 /PRNewswire/ -- PerceptIn, a world-class full-stack visual intelligence company focused on robotics, today announced the launch of the PerceptIn Intelligent Viewer Tracking Module (PIVTM), an Internet-of-Things (IoT) intelligence module for generating in-store customer data for vendors and retailers. The PIVTM works by displaying video advertising on a digital signage, kiosk, or vending machine's screen, monitoring engagement and viewer reactions of up to 10 people within a 5-meter distance. The device can also track whether the customer is new or returning. On a more granular level, the device can determine the duration an ad is seen by viwers, and what elements of the advertisement are most effective for capturing attention. Marketers can then use this data to optimize their creative for format, story, layout, call-to-action, ad length, and more. During vending activities, the PIVTM generates product and location information, and accurate customer demographics that include gender, age, and more. Protecting user privacy is PerceptIn's highest priority, and the PIVTM does not collect or store any PII data or face ID information. In addition, the PIVTM is designed with an onboard computing device, and the output is purely statistical. All PII data is delinked and desensitized on site. By connecting product information and customer profile data, vendors can optimize their supply chain and deployment strategy, and better understand their customers. "The business intelligence generated by PerceptIn Intelligent Viewer Tracking Module is extremely powerful," said Dr. Shaoshan Liu, Founder and Chairman of PerceptIn and recipient of over 150 U.S. and international patents on robotics and autonomous driving. "The PerceptIn Intelligent Viewer Tracking Module has the potential to completely revolutionize the offline advertising, and the vending industries by enabling brands to better understand their customers, who buys their products and ad effectiveness." 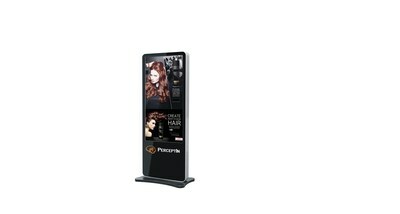 Widely deployed in PerceptIn's DragonFly Intelligent Advertising Vehicle, a low-speed autonomous vehicle equipped with digital signage and a vending machine, the PIVTM is also compatible with most vending machines and advertising machines available in the market. PerceptIn is a world-class full-stack visual intelligence company building machines that see, interpret, learn and take action. The company's core technology focused on visual intelligence, is finding its way onto myriad new devices in a broad range of areas, from IoT-grade robots to autonomous driving. PerceptIn's DragonFly is the world's first safe, reliable and affordable people's autonomous vehicle. With offices in California, Hong Kong, and Shenzhen, Mainland China, PerceptIn serves more than 100 customers and works on providing hardware and software solutions for the robotization of the next generation of products.